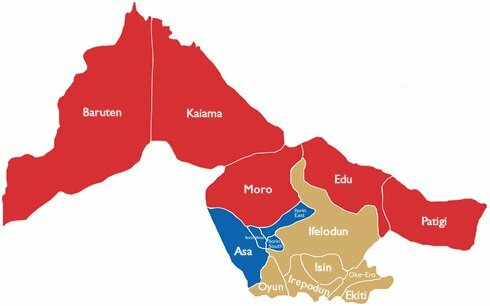 The people of the Northern part of Kwara State (Kwara North) has threatened to snub the 2019 governorship election in the state if candidate for the position is not from their region. They urged all political parties in the state to allow sons and daughters of the district to be their governorship candidates in the 2019 governorship election. The Kwara Northerners under the aegis of Coalition of Kwara North Group (CKNG) maintained that it was the turn of the district to produce the next governor of the state. The group cut across the five local government areas of Moro, Kaiama, Edu, patigi and Baruten. The coalition warned political parties to abide by its demand or forget to campaign in their areas. Addressing reporters on Friday in Ilorin, the state capital, CKNG’s, Anchor Kolo Jerry said that “in the event that our demands are not met or taken for granted, we will boycott the governorship elections; refusal of non Kwara North candidate access to campaign in the whole length and breadth of the axis and reconsideration of the essence of our continued existence as an undermined region in the state. “We, the entire people of Kwara North collectively declare that it is simply wise to say, since the inception of democracy, dating back to 1999 and after Kwara central had run the affairs of our political leadership from 1999 to 2011 (Mohammed Lawal and Bukola Saraki) respectively, Kwara South running from 2011 till date where next as a function of common truth and trust must only be the North of Kwara. “Based on the ethics of natural justice, fairness and equity, power must shift to Kwara North come 2019”.